The GRE Preparation material comprises of books which help you gain expertise over all the sections. There are separate books for Reading Comprehension, Text Completion, Sentence Equivalence, Algebra and Data Interpretation. For example, the book on Reading Comprehension has strategies for answering each category of questions. Determining quickly whether an answer to a particular question in the long passage lies in the first or last paragraph can be done through applying strategies given in such informative books. There are several separate tips in the RC books of GRE Preparation material which will make the complex RCs very manageable for you. Cramming up the alphabetical wordlist could be painful and boring. There are theme-based wordlists these days in the GRE Preparation Material which could help you memorize the words for a longer term. You could start with a theme like nature and cover all the words related to it. This will boost your confidence and increase your vocabulary without making it boring. Mnemonic dictionary and picture images provided by some websites offering GRE Preparation Material help in retaining the meaning of the words for a longer time. You could utilize your android phone during your commuting time and work on the wordlists. The GRE Preparation material comprises of chapter-wise self-paced video tutorials for quantitative and verbal. It will clear your concepts and build your foundation to approach the GRE. The instructors of these videos are test prep experts who explain things like simple geometry and complex passage deconstruction lucidly and have a pragmatic approach towards the exam. There are separate videos for each practice question where the concepts are covered and pitfalls are explained in detail. 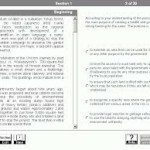 There are 1000s of GRE practice questions provided in the GRE Preparation material which cater to a vast variety of concepts that maybe tested on the exam. Given alongside are solutions to these problems and even shortcuts which would help you save time during the exam. Step-by-step solutions to all the practice questions by the top-notch instructors would be greatly beneficial for you. You must go through them carefully and leave no stone unturned for ensuring success in the exam. 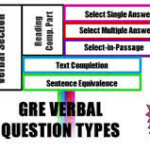 Your diagnostic test which is a part of the GRE Preparation Material provided by reputed trainers determines your current skill level and proficiency in the various topics. After taking the diagnostic test, you are provided with a personalized study plan that ensures that you focus on the topics and skills which would work best in your favour. The adaptive-learning approach tracks your progress and gives you recommendations that will hone your skills further. The live ‘Doubt Clearing Sessions’ by the GRE Prep experts further give you clarity on the complex concepts.